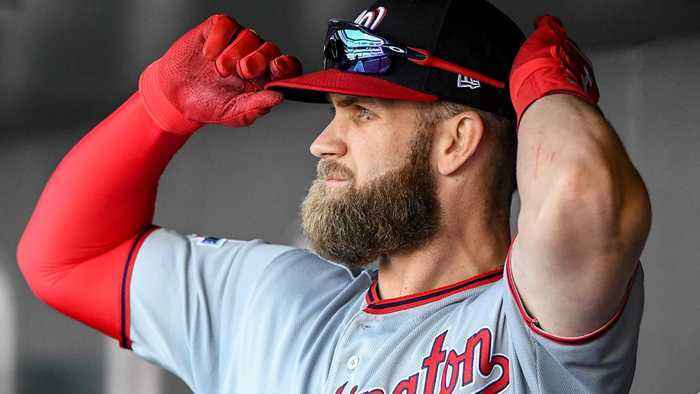 One News Page > News Videos > Bryce Harper > Does Bryce Harper's Phillies Deal Really Make Sense for the Slugger or the Team? 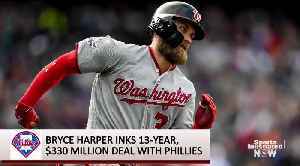 After a long free agent courtship, Bryce Harper agreed on Thursday to a record-breaking 13-year, $330 million contract with the Phillies. 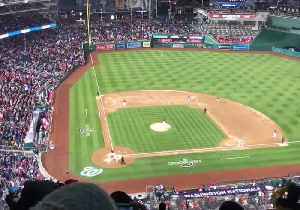 But SI Now's Robin Lundberg and Ryan Asselta argue that the deal might not be worth it, for either side? 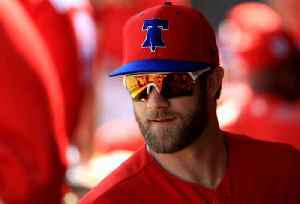 Amid reports that Phillies players were playing Fortnite in the team's clubhouse during games at the end of the 2018 season, is there reason for concern that Gabe Kapler might not be the right manager..
New Phillies outfielder Bryce Harper tried on his jersey for the first time at the team&apos;s training camp in Clearwater, Florida. Rough cut. No reporter narration. 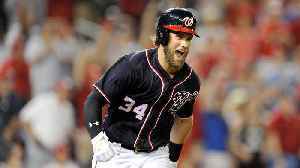 It took Bryce Harper more than 100 days to sign with a new team. 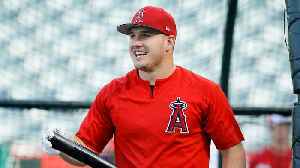 SI's Stephanie Apstein discusses why it took the former NL MVP such a long time to find a new club. 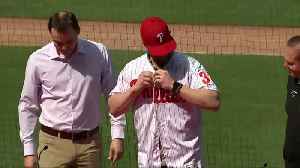 SI's Stephanie Apstein was at Phillies spring training when news of Harper's signing broke. 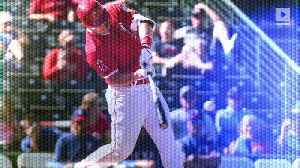 Apstein joins SI Now to discuss the surprisingly minimal reaction from Harper's new teammates when they..